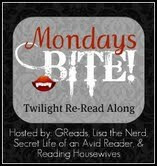 as part of a sweet little feature, GReads, Secret Life of an Avid Reader, The Reading Housewives and myself are hosting a Twilight Re-Read along. because let's be real - Mondays BITE and you need some guilty pleasure in your life. we're here to help. you're welcome, world. so last week, Ginger asked five excellent questions as we begin our journey through the Twilight re-read along. if you have no idea what i'm referring to with this whole re-read along thing, check out the original post. oh for sure. i moved to a new place when i was in fourth grade RIGHT before the end of the school year. i didn't want to finish up my year at a new school but my mom made me. i'm totally glad she did because i made a new friend for the summer and would have otherwise spent the entire 3 months bored out of my SKULL. i do picture the actors. i saw previews for Twilight before i read the series, so that's how i've always pictured them. i particularly appreciate Taylor as Jacob and Billy Burke as Charlie Swan. some of the minor characters still don't really fit for me (looking at you Rosalie), but i'm stuck with them now! when i first read this, it didn't really bother me. upon re-reading, however, i'm annoyed at how fast things progress. although Stephanie Meyer certainly does build the sexual tension early - so i can't hate on that. i love me some sexytimes. MIKE. always Mike. he's so charming and aloof and such a pretty jock boy that i can't help but find him endearing. i think this is also due in part to the movies and how sweetly he was portrayed, but i adore his unabashed attempts at wooing Bella. i love how we start to get into their relationship by chapter five. enough with the 'looking from afar' business and down to the nitty gritty of WHO Edward is and what he's all about. i like that a lot. i'd have to say my favorite quote from this section would be when Bella says to Edward "I'm trying to figure out what you are". she's speaking on so many levels - what he is literally (a mythical creature), what he is to her (crush) and what she is to him. 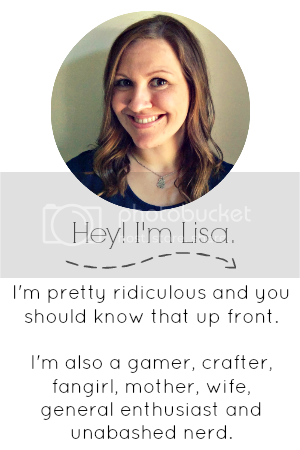 link up your responses right here! I picked Mike too. I feel so bad for him because he is so sweet and trys so hard to aquire Bella's intrest. Poor Mike. O also I loved Billy Burke as Charlie as well. He’s tries so hard to be such a good dad. Love the little comic relief he gives off in the movies. Totally agree about Rosalie, but also in my head Alice is so much more spirited, even though we haven't seen much of her yet in our re-read along, I remember feeling disappointed when watching Twilight and thinking where is my Alice?? When I first read this series, I had a clean slate when it came to picturing the characters. But now that I've seen the movies (about 100 times) I can't help but picture the actors as these characters. A lot of readers are fans of Mike. I think he's too clingy to Bella. I love Mike too! I really like the dialogue and interaction in Chapter 5 as well. I read the series before the movies came out, so some of the actors don't fit, but Billy Burke is perfect. I also like the girl who played Jessica (I'm being lazy right now and am not going to look up her name. Please don't judge). Since you said you saw previews of the movie, did you actually get to read the book before the movie then? Or, did you see the movie before? I'm always curious what made people want to read the book if they saw the movie first because the movie doesn't do the book justice at all. Jenni - i did read the entire series before the movie (i read it in like a week - NO SHAME). i had heard good things and just hadn't given it my time until i saw the movie was coming. i'm glad i did though, because i agree that the books > the movies. The casting for Rosalie tears my nerves up. I'm not sure why, but I just think she is all wrong. It may just be her hair and wardrobe??? But I can't get into 'movie Rosalie' at all where the 'book Rosalie' is fine for me. I feel like such a mean person for saying that, but...oh, well. Now, Charlie Swan...I totally agree with everyone. He's perfectly cast. I LOVE him in the movie. 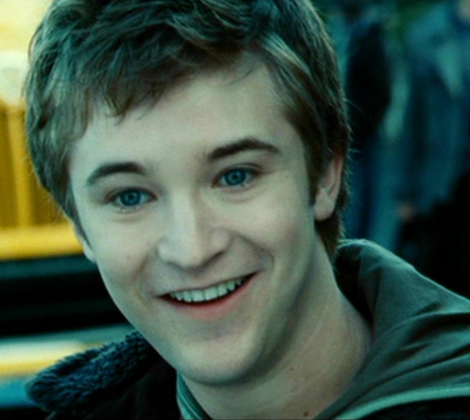 To me, he is perfection in the way he shows the awkwardness that Stephanie Meyer writes into the book. Poor guy never knows what to say to Bella, and that comes through perfectly in the movie. I agree Nikki is no Rosalie, but the rest of the cast is fine except for a small character named Eric. He seems homosexual to me and I'm wondering why they thought he'd be good to play a young guy interested in Bella and then of course hooked up with the other chic. Every time i watch i think he should be in love with Mike or Edward.